Flashoholics around are very vocal about their addiction which causes an impression that almost everyone here is an addict. But is this impression right? How many BLFers are actually flashoholics? I’m not defining who is a flashoholic. Please use your subjective definition. If you’re reading this thread, you have no excuse. You are one. I thought I was at one time. I couldn’t quit buying them. When I finally started making the lights I have to my own preference, I started getting pickier and pickier about how and where I spent my money. Now I won’t even buy the latest bandwagon light because I already have my lights exactly the way I need them. Unless it’s for a gift or something. 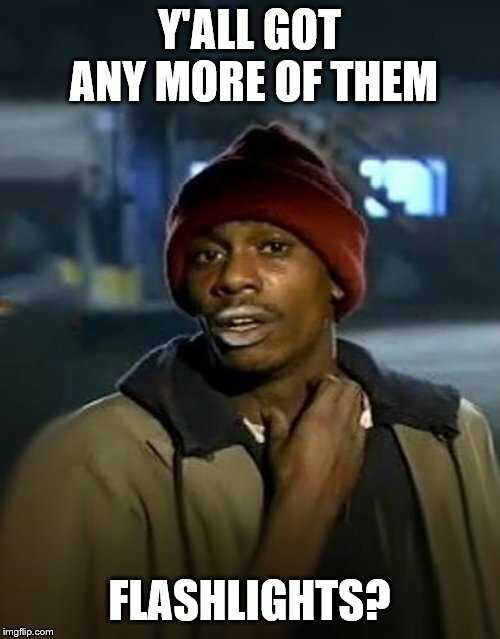 Then I will still pick up some new ones. But they find new homes faster than I can buy them. It’s nice to see people smile. I purposefully didn’t define it because it was never meant to be my opinion. In my opinion everyone should use their own definition. I added a clarification to my first post. Other: I’m not a flashoholic, the amount of fully working lights I have is very small. I’m a flashlight developeroholic. The amount of obsolete PCB designs, firmware versions and components is a clear indication that I have issues. Flashoholics around are very vocal about their addiction which causes an impression that almost everyone here is an addict. But is this impression right? How many BLFers are actually flashoholics? If your answer was A-D you might just have a flashlight problem. lol to 99.8% of the world it’s a problem… to us it’s awesome and we’re just better at spending money than the rest! Who’s going to have the last laugh in the zombie apocalypse or 28 day blackout!? How about starting some FH meetings? Hi, I’m Matt and I’m a flashaholic. My sobriety date is March 1st 2019.
background talk: did you hear about the new MS18 with 100,000 lumens or the new DS18 or MF01S with 14,000 high cri lumens? If you make a new acquaintance and, in the course of conversation, mention that you’re a flashlight hobbyist (or words to that effect), how many people respond with “Oh wow, that’s really cool!”? Ok, now how many respond with a slightly perplexed, sometimes condescending smile followed by “oh, isn’t that nice.”? I’m not sure what “normal” is but I don’t think we’re it. When I’m out with people do I sometimes get bored and start thinking about how much fun I could be having playing/modding/buying/researching flashlights? if an addiction is logical, then yes I am. Without question. We’ll see if it holds long term. 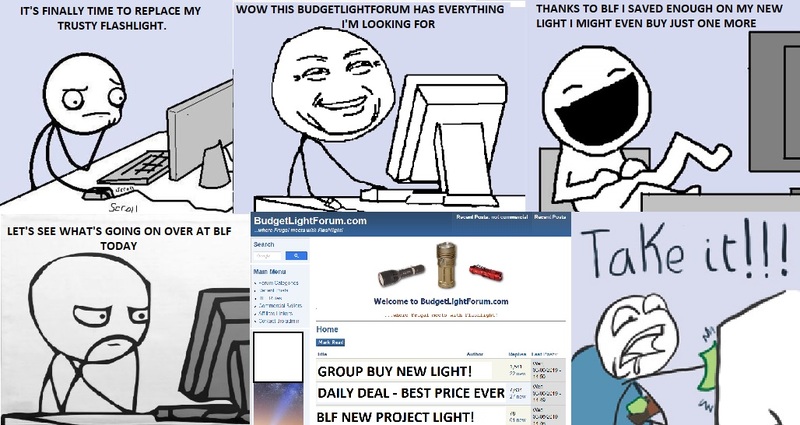 You’re browsing a flashlight forum and making posts. I haven’t had one all day, but I may need one tonight. So is that a no, or am I in denial? Hey guys, feel free to look at my posts about this subject. Ha Ha. It is more about learning the skills to build them i was going to put my lathe in the dinning room but it was too big and heavy to get it there. I do have a mobile welding bench in the kitchen and the best thing about TIG is no splatter so i can weld on my coffee table.